Foundation and Drainage Services Worcester | James Grove Ltd.
Foundation and Drainage services are often the first stage of any construction project. So whether it’s clearing a site, laying foundations, installing or repairing drainage, concreting, paving or garden restoration you need – we can help. We are a family-run business, established for many years in Worcester, and are skilled and experienced in all areas of foundation and drainage services. We will make sure your foundations are safe and secure, and that they are exactly the right type for your structure. Foundations are the most important part of any development or building. Without the correct foundations, a building could potentially collapse. 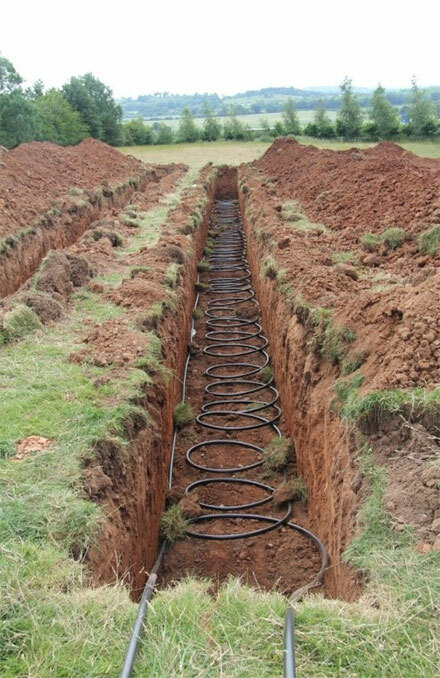 A common type of foundation we are especially equipped for working on in residential homes are footings. Adequate drainage is vital. If you are looking to get new drainage installed or repaired we are prepared for working on various systems for residential and public sector buildings. After surveying your site, we will install a drainage system that works for you. Our expertise in drainage services also extends to systems for foul water drainage and storm drainage. If you’re not connected to the main drainage system, you’ll usually require the installation of a septic tank. Rather than installing pipework to connect to the main drainage, which may be some distance away, it’s normally more cost-effective and convenient to get a septic tank installed. Whether it’s industrial or domestic concreting that you need, we will provide you with the perfect finish. Are you transforming an outdoor space? From concrete driveways to garden patios, no job is too big or too small. All our work is completed to the highest of standards, and we cater for a variety of needs for the professional installation of hard landscaping elements. We offer surfacing for driveways and car parks, as well as resurfacing that is durable and tough enough to meet the highest standards. We can undertake groundworks projects to include footpath, cycle way and car park construction. All work conforms to local authority specifications. We offer a quality and reliable garden clearance and landscaping service. Our services are available for gardens and outdoor spaces of all sizes. This includes the restoration of concrete, garden paths, patios and driveways. Choose from a single service to a full groundworks package that takes care of all the jobs in your project. Whether you’re a private or commercial customer, you’ll receive the same reliable, courteous and efficient service that is always carried out to a high standard. You’ll have peace of mind, too, knowing that all our clients are protected by our £2.5 million public liability insurance and that we are fully compliant with current Health & Safety legislation. We work with commercial, domestic and local authorities throughout Worcestershire and the West Midlands. For the most experienced groundworkers in the Worcester area, Give us a call on 01905 754 296 / 07768 034 323 today. Or, email info@james-grove.co.uk for a free, no-obligation quote.